Machinery & Equipment products includes Bulldozer, Loader, Forklift, Soil Compactor, Excavator, Road Roller, Tower Cranes, Truck Mounter Cranes, Rough Terrian Cranes & Others available in industry. 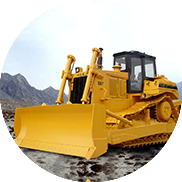 Bulldozer is used to push large quantities of soil, sand, rubble or other such material during construction & typically equipped at the rear with a claw-like device to loosen densely compacted materials. Available in different tons & dimensions. 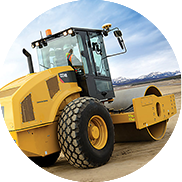 Loader is a type of tractor which is used in construction to move aside or load materials such as asphalt, demolition debris, dirt, feed, gravel, logs sand, etc. 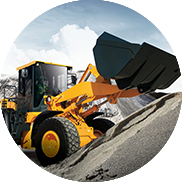 Loaders are available in different specifications. 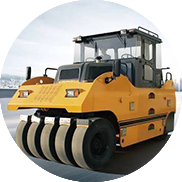 A compactor type engineering vehicle used to compact soil, gravel, concrete or asphalt in the construction of roads & foundations. Similar rollers are used also at landfills or in agriculture. Available in different types & specifications. This is used to support structural entities such as building foundations, roadways, walkways, earth retaining structures, etc. Available in different types and specification. 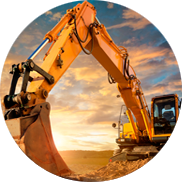 Excavators can be used in digging of trenches, holes, foundations, forestry work, demolition, general grading, mining, etc. Several types are available at different shapes and sizes. Forklift is used to lift and move materials short distances. 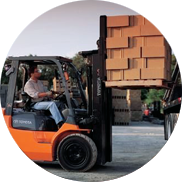 Forklifts are available in many variations and load capacities. 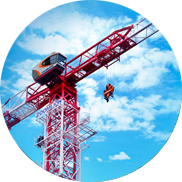 Tower cranes give the best combination of height and lifting capacity and are used in the construction of tall buildings. Available at different specifications. This can be used both to lift & lower materials & to move them horizontally. 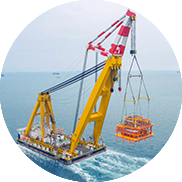 This type of crane are able to travel on highways, eliminating the needs for special equipment to transport the crane. 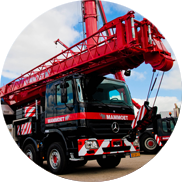 Truck cranes range in different lifting capacity. Available at different specifications. 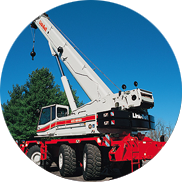 A crane mounted on an undercarriage with four rubber tires that is designed for pick-and-carry operations & for off-road & rough terrain applications. Available at different specifications. This is a type of crane built atop a gantry, which is a structure used to straddle an object or workspace. 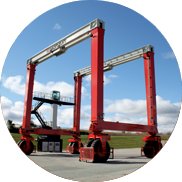 They are also called portal cranes, the "portal" being the empty space straddled by the gantry.Available at different specifications. This type of aerial work platform is ideal for indoor or outdoor construction or maintenance tasks. 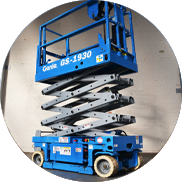 Choose from electric scissor lifts with longer runtime or engine powered scissor lifts for durability on rough terrain.Available at different specifications.